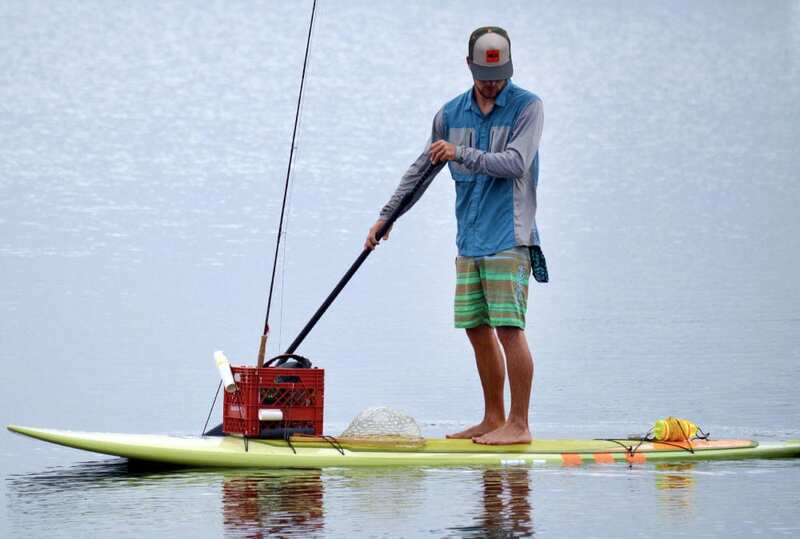 Load up everything and anything, this board is ready for the countless hours on the water, overnight camping trips, and long excursions. 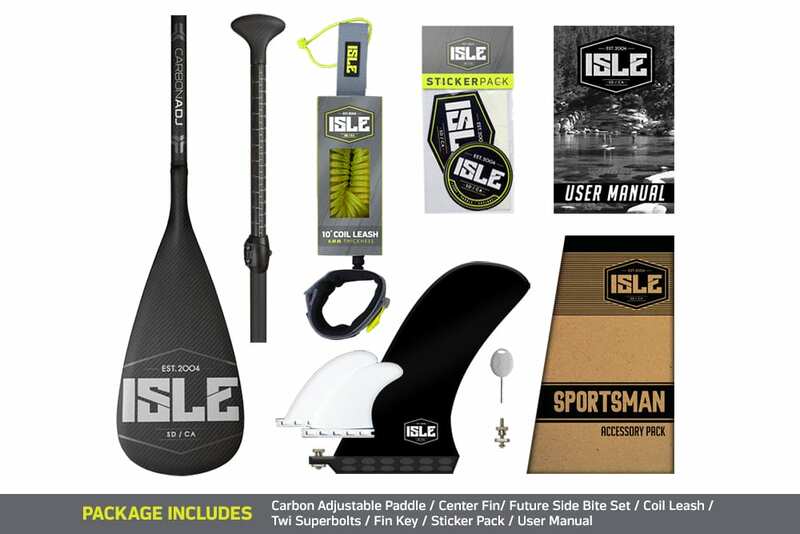 The ISLE 11’2 Sportsman Fishing Paddle Board is the perfect SUP for the outdoor enthusiast. 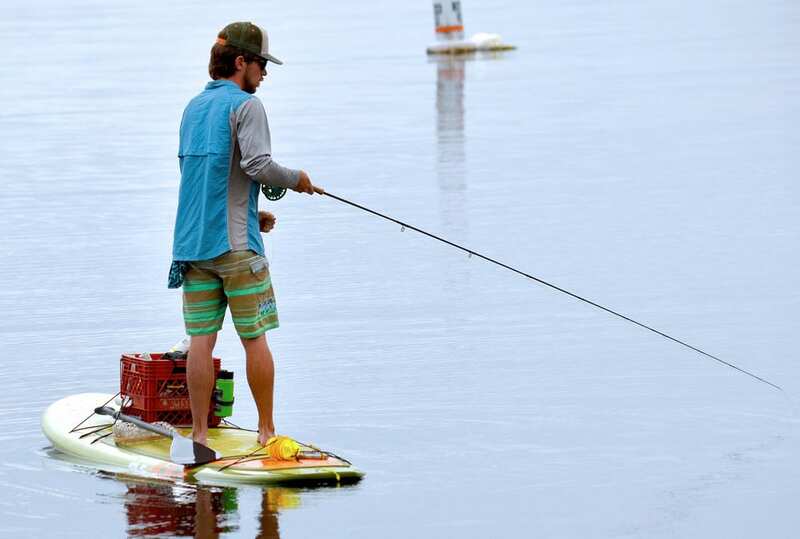 The wide deck and full template makes sure you stay high and dry out of the water; with the extra volume on the board you can carry a lot of weight and still be extremely stable when casting or paddling. No need to leave behind any gear as this board has everything. 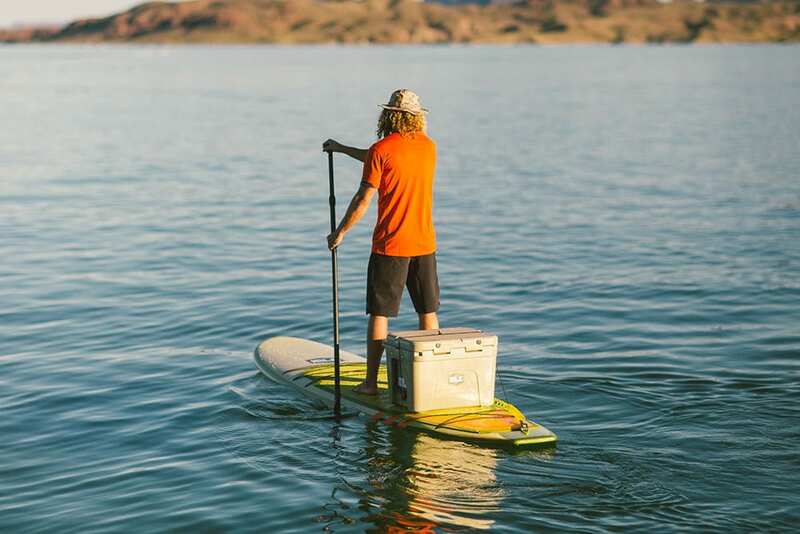 The front and rear bungees keep your cargo accessible and in place, while the additional I-lets on the board you can securely strap your cooler or tacklebox without the concern of it falling in. 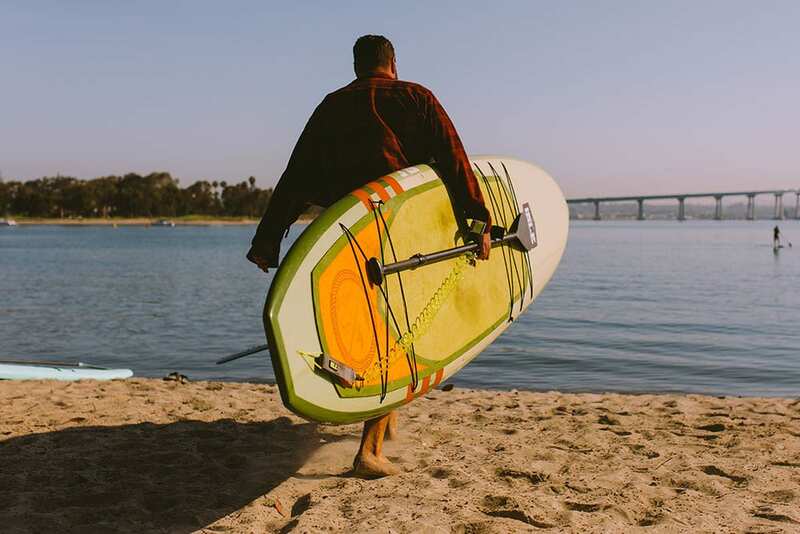 Transporting your board just became easier with the lift SUP handle giving you a solid grab point that anyone can use safely. We’ve added Kevlar Rails that are tough enough to keep up with daily abuse and a comfort brushed deck pad that’ll help with the long hours on your feet. 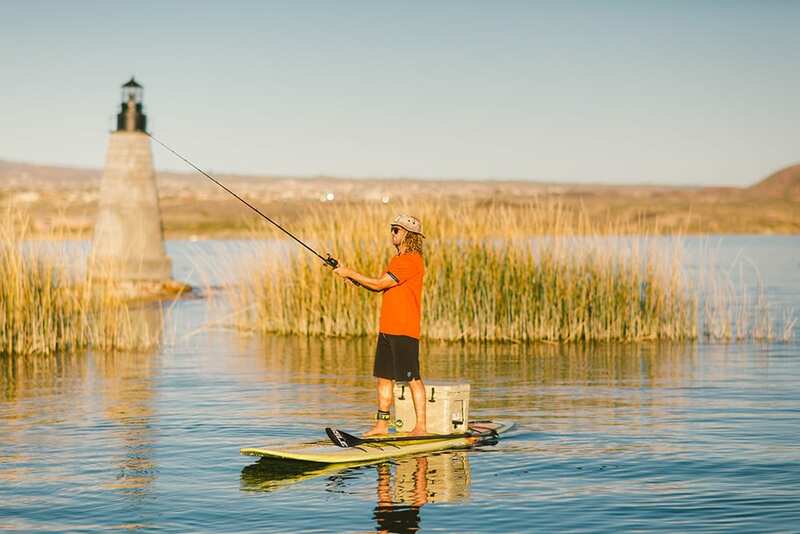 Having the option to add anything you want to your board make the Sportsman an anglers dream as well as a super fun recreational board. 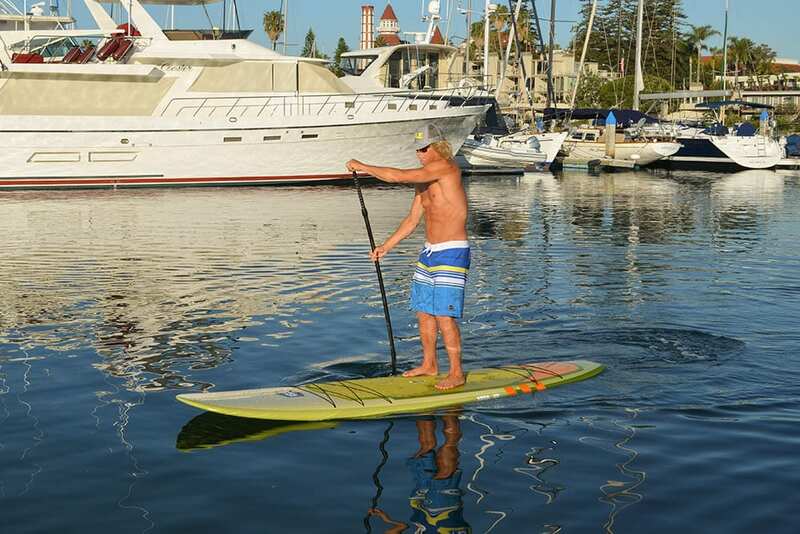 Additional center rail mounted i-Let’s give you the option to add more bungees to your SUP and/or securely strap your cooler or tacklebox without the concern of it falling in. We started with a lightweight precision cut EPS blank and then added a wood veneer reinforcement on top and bottom for strength. Next, we laminate the blank with fiberglass to add durability and impact strength. 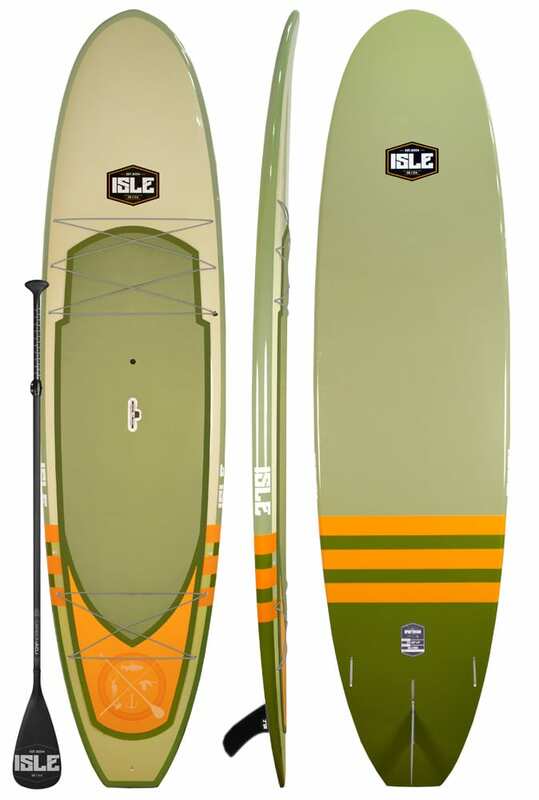 A first for ISLE, we’ve constructed this board will Kevlar Rails that give the board maximum rigidity.